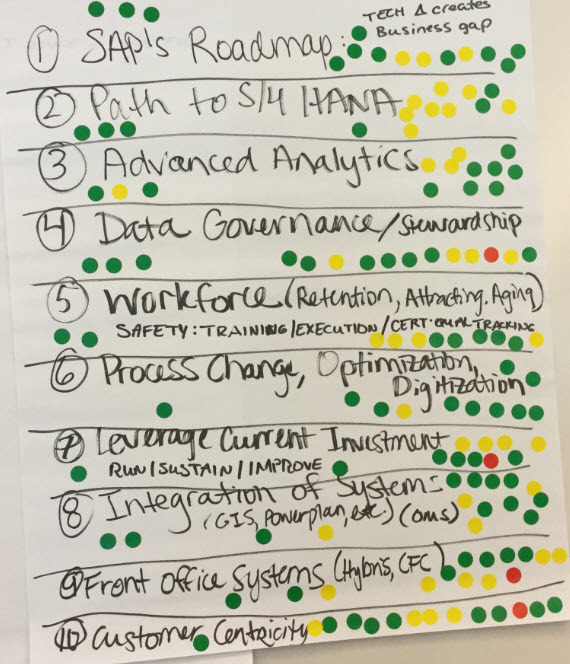 The SAP for Utilities conference team came to Newtown Square yesterday, bringing Utilities peers together for an interactive discussion on the biggest challenges, trends and opportunities utilities are facing today. This was my second time attending, as I attended first back in 2016. 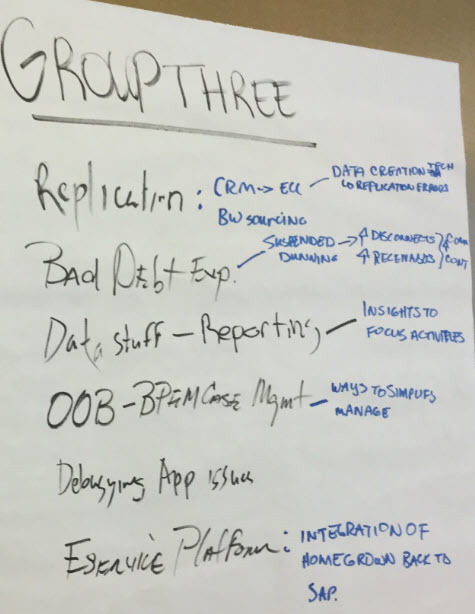 Led by IBM, this half-day event was an opportunity to collaborate with other industry professionals on common pain points and solutions within today’s landscape. 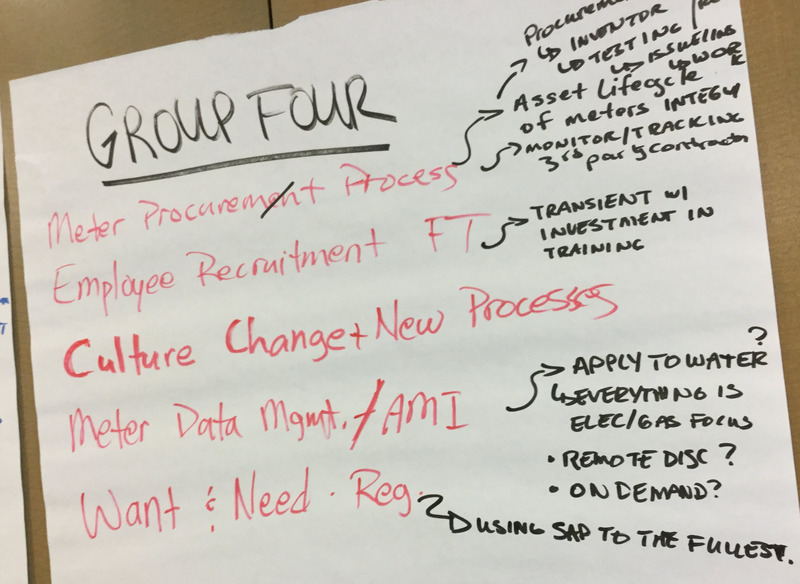 This research discussion is part of Eventful Conference’s blueprint for the 2018 SAP for Utilities conference. Jen Mellace, Eventful, said this was the 11th year for SAP for Utilities conference in North America. She said part of their research is to understand what customers want to learn about, things want to hear. She said this is made easy by the fact that utilities aren’t competitive with each other. We started out by introducing ourselves, who, where from, and a fun fact about ourselves. 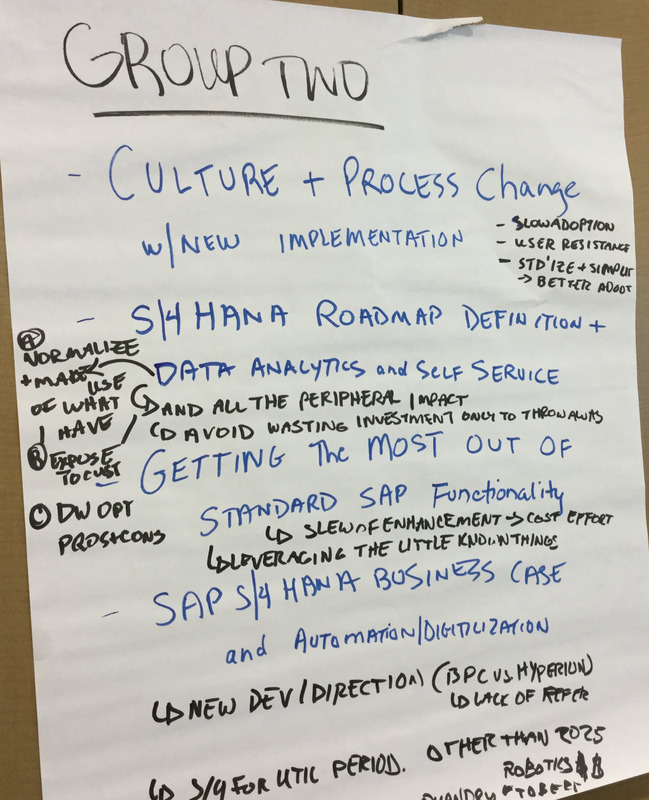 Front office replacement; CIC0 is deprecated is in S/4HANA. Options? Hybris, C4C, CRM embedded S/4HANA? 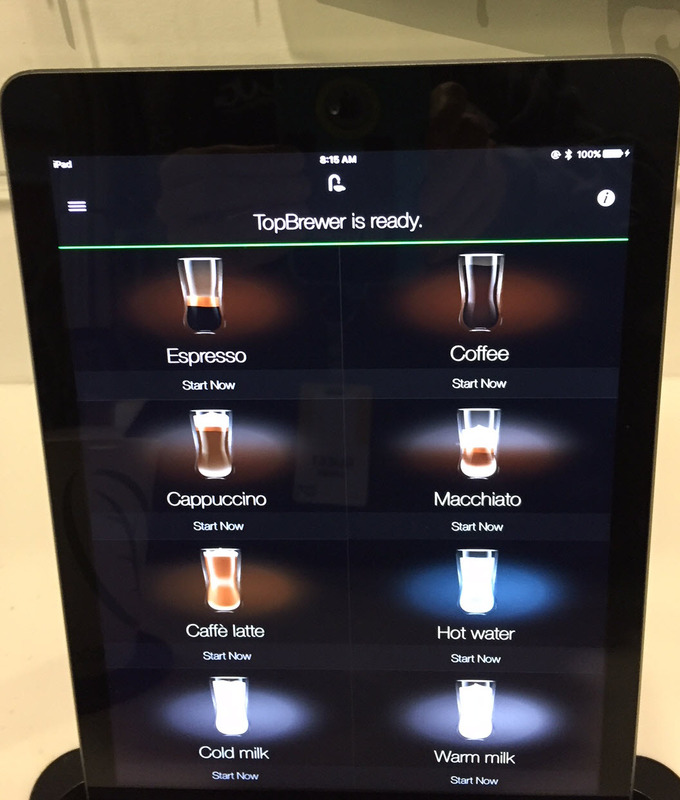 Analytics – BW/4HANA for Utilities content exists, how can we get there? – should we do something in next 1-2 years to have it ripped out? – what should we do? Time to vote – what topics are important? Green means important to my utility, yellow means topic is relevant but not to me, red means not relevant at all. Looks like SAP’s Roadmap has the most “green” circles, with IT convergence /enabling receiving the fewest. How did we do? What did we miss? Getting to Newtown Square wasn’t bad, but getting to the building was a different story. Newtown Square SAP Office is undergoing a Motor Court “renewal”. I was a little confused about where to park. I tried to go into one entrance but a duck chased me off (I got a good walk in anyway).